Learning Environments: We will not work in crowded or otherwise unfavorable locations. We will take our clients to uncrowded locations with favorable wind and water conditions where we can work on improving skills and having a good time at or near any of our primary locations. Kiteboarding Technique and Information: Kiteboarding is a dynamic sport, there is more than one way to understand or learn to do many of the things kiteboarders do. Our goal is to teach you how to use your kite in many ways to help you do what you want to do. In addition to building kite handling and riding skills, our instructors will be constantly working to raise our clients awareness of their surroundings, of their gear, and of their own abilities, in order to help ensure that our clients are more knowledgeable, responsible, and capable kiters. Services and Equipment: Instructor to student radio communication. YAMAHA WAVERUNNER support. Photo and video documentation of your experience. Tons of school gear in excellent condition for clients and conditions of all types. School Gear is 4 Sale ! Fell in love with the kite you learned to ride on? Keep a good thing going and take it home with you. Huge discounts on school gear. 30 -50%. Book Now – By calling or emailing us at the shop. Yes we still handle all reservations in person to ensure the highest levels of Service and the lowest levels of Confusion. Sorry for the inconvenience, but this isn’t like renting kayaks or reserving movie tickets; we have questions, you have questions, its better for both of us this way. Private Lessons are 1 on 1 with your coach. Group Lessons are actually Multi-Person Private Lessons, meaning you and your friend of friends that you would like to have your lesson with. 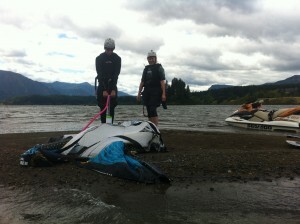 Kiteboarding Lessons give you the support you need to progress. Whether you are learning to ride, or taking it to the next level with jumping, tricks, or trying new toys like surfboards and hydrofoils, our Kiteboarding Lessons are Waverunner and Radio Helmet supported. Land Based Lessons are billed at a lower rate than regular Kiteboarding Lessons and include Intro Lessons for First Timers, Kids Lessons, Dirt Surfing with the Buggy or Mountain Boards, and are also good for Advanced Kiters looking to improve their kite flying or practice a specific kite handling skill or topic. 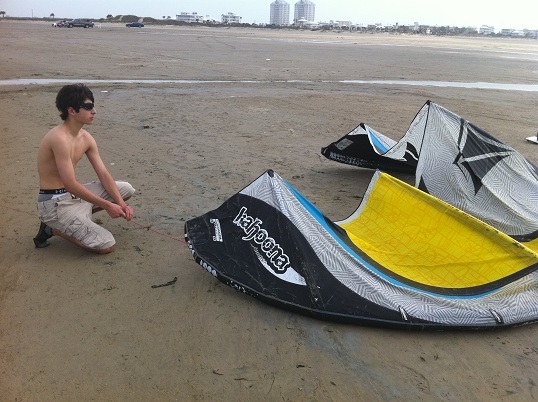 Rentals are for experienced Kiters that are proficient enough at riding to stay upwind in all conditions. Lesson Length is 2-3hr long, which is generally more than enough for a fulfilling experience. 2hr is the minimum charge for most lessons. It is not uncommon for clients on vacation to plan to go more than once in a day with a break in between sessions. Lesson Start Times are planned around 10am, 1pm, 330pm and 530pm (awesome sunset sessions in summer), but scheduled start times are subject to adjustment based on wind and weather conditions. Prokite will send out ‘wind check’ txt msgs to clients on the schedule to confirm or adjust start times as necessary. 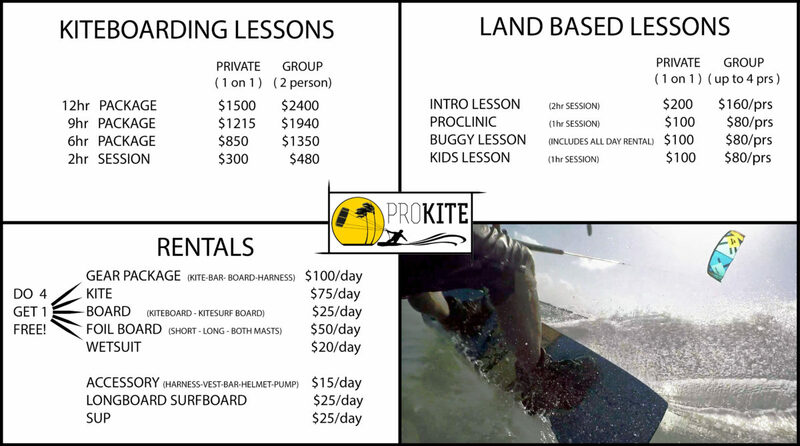 Prokite Lessons Include everything we need to have a successful session in terms of kiteboarding gear except wetsuits which are $20 additional rental charge, be sure to let us know in advance if you need a wetsuit. Surf Boots (booties) are not required but are recommended. Our kiting locations are 95% foot friendly but it is not uncommon for beginners that put their feet down a lot to get small cuts or grossed out by the soft weedy bay floor. We have excellent boots for sale in the shop. Temperatures vary throughout the year. From early May through mid Oct air and water are very warm, sun protection is your main focus. November through April air and water temps both change dramatically from week to week, bring a full length midweight (3-4mm) wetsuit for fall and winter trips. December and January are the two coldest months and have the most cold weather days. Even in mid winter there are many days that are warm and we can kite without wetsuits, but it is better to plan for cool and cold weather riding to be safe. Prokite has wetsuits for sale and for rent, as well as accessories like kiting jackets, gloves, boots, and neoprene layers for sale. Lesson Meeting Location is the ‘South Flats.’ The entrance is the first left North of the SPI Convention Center, it is an unpaved road leading into a large bayside beach access. Prokite is setup in the North corner up by the water, follow the hard-packed path around the perimeter of the Flats to the right, it is safe for all vehicles in all conditions, (avoid the middle of the deep looking puddles when it is wet). Occasionally we use alternate locations, we will let you know in the wind checks. Tip: be a few minutes early to gear-up, sunblock-up, or wetsuit-up, so we can get the kite-up right away! 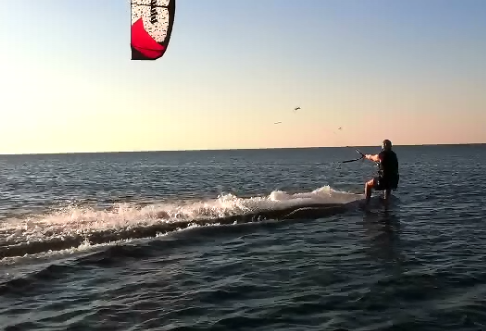 If you have never flown a kiteboarding kite before, this is where you start. In a INTRO TO KITEBOARDING LESSON you will learn how to handle powerful kites safely, and develop the skills you will use to ride next time. What to Bring: These lessons typically take place on the beach and often in shallow water so come beach and water ready with towel, however if we can also plan to stay dry if getting wet doesn’t seem fun (if its cold out, for example) if the plan is to stay dry bringing running shoes or similar can be more comfortable than bare feet. Water and snacks, sun protection and sunglasses. Appropriate clothing to be comfortable outside. If it is hot and sunny we can fly in shallow water, if it is cold we can stay dry. Bring running/active shoes they are sometimes more comfortable than barefeet if we are staying out of the water. Whether you are trying to get your first rides, link turns and change direction with speed and flow, boost big air, or learn a new trick, our RIDING LESSONS can help you achieve your goal. At PROKITE we recognize that everyone progresses at their own pace, and that kiteboarding is a dynamic sport with more than one way to do or understand skills. Our goal in any level of Riding Lesson is to give our clients multiple skills and strategies to help them accomplish their goals, while having a safe and fun time. During Riding Lessons your instructor will be close, highly mobile, and in communication with you at all times, and will introduce you to a variety of techniques and skills to help you improve your kiteboarding. The intensity level of Riding Lessons is up to you. We encourage you to push your limits, but at the same time not to exhaust yourself physically or mentally. During PROKITE Riding Lessons it is easy to take breaks. From wherever the lesson may be our students can climb out of the water for a rest, talk to their coach, or watch technique demonstrations without losing any lesson time. A LESSON PACKAGE is your best bet if you are Learning to Kiteboard, or want to ensure you make the most of your Kite Trip to South Padre. lives near SPI and will be available for a few days or more over the course of a few weeks. whether you are just beginning or have been riding for years, booking a Lesson Package (Kite Camp) will ensure you learn new skills or improve and develop your kiteboarding, get awesome pictures and video, ride the best locations on the best gear for the day, and have a great time! Additional Info About Lesson Packages-Lesson Packages are the same great lesson/kite session experience we offer in our regular lessons, with all the same levels of service, commitment to quality, and fun. At PROKITE we appreciate our clients commitment to kiteboarding and to us, and are happy to offer a package of lessons at a discounted rate. Package timeframes are flexible: Although generally accomplished in 3-10 days in 3 – 7 sessions (2-3hrs each) kite camps can be accomplished in as little time as 2 consecutive days, or over the course of 6 months or more. We can work with our clients to create a lesson schedule that works best. Get the info you need to take your kite control, riding, or equipment performance to the next level. ALSO GREAT FOR NO WIND DAYS! This is a great way for experienced kiters to improve on kite handling technique, familiarize themselves with or test new gear they have, or simply clear up any questions they have. Please be rigged and ready with the gear you want to work with so we can start right away. There is no photo service for these sessions. Group Lessons are a great way to have a fun time with a friend or friends. Group lessons participants often experience less individual pressure when learning, while at the same time are motivated to succeed by the other group members. Friends can offer insight and encouragement in unique ways, and it can also be helpful to observe another students style, successes, and difficulties to better understand your own experience. PROKITE generally encourages our clients to find a friend of a similar kiteboarding ability level and organize a Group Lesson. There are however some potential drawbacks to group lessons to be aware of. Although your instructors can communicate instantly with any group member through the radio system, the instructors time is divided when coaching more than one kiter at once. Although your instructor will work to keep group members close, there will frequently be more distance from client to instructor than during regular private lessons. During group Riding Lessons it can more difficult to organize breaks for individual group members, and therefore group lessons can be more physically intense than regular private lessons. Also, during a group lesson the number of students simultaneously handling kites is based on safety considerations and is determined by the instructor. If your instructor determines it is impractical or unsafe for there to be more than one client flying a kite at any time, then the group members will switch from simultaneous kite flying to sharing a single set of gear, using it in turns until it is possible to return both or all group members to their own gear and resume simultaneous kiteboarding. There are no additional discounts if group members spend part of the lesson session sharing equipment. It is our goal that each group member spends the maximum possible time during a lesson using their own set of kiteboarding gear. Land Based Lessons, especially Basic Kite Handling, are fantastic group lesson environments for participants of all ranges of ability level and motivation. Group Riding Lessons are generally best for clients that are of similar physical or kiteboarding ability level, and are individually comfortable in the water. If, based on your own past experience, you think you might have a lot of individual needs, or simply know that you will want the security of your instructor next to you at all times, then please consider a private lesson instead. Lesson time is only pro-rate when lesson time cannot be completed due to wind or weather. 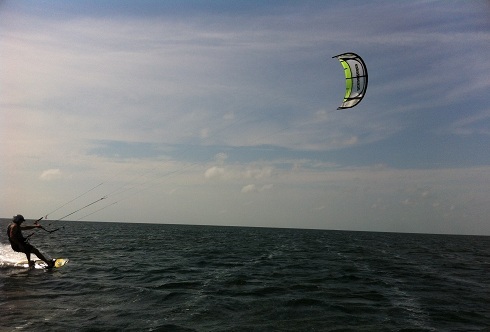 If there is enough wind to relaunch the kite, there is is enough wind to have a productive kiteboarding experience.